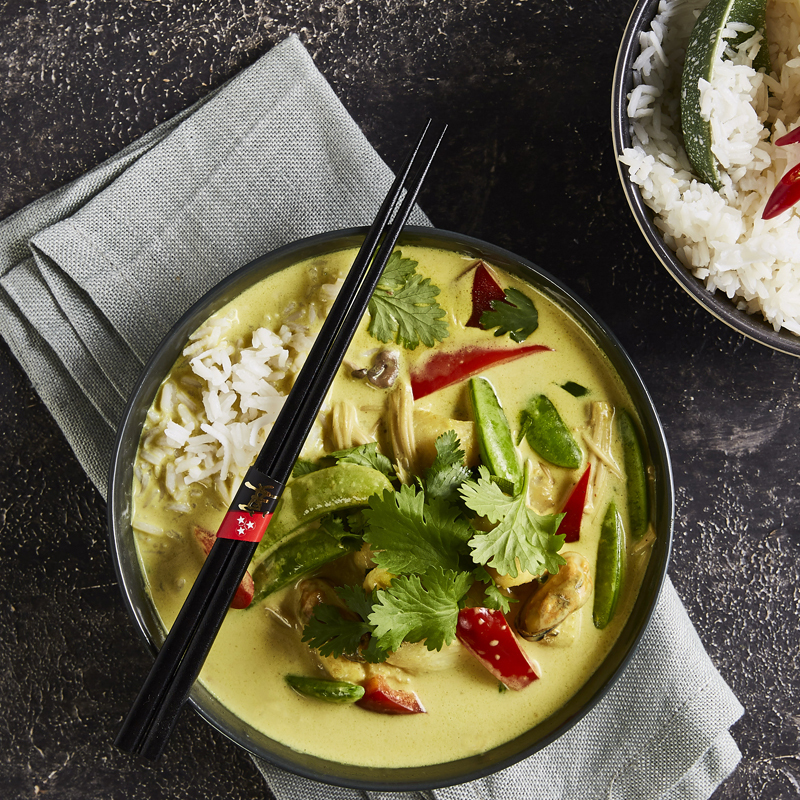 There is no need to call your local takeaway with this fragrant and creamy coconut seafood curry. Both the curry and rice are cooked together with the NEFF FullSteam oven making it quick and easy. Place all of the ingredients for the rice in the small solid stainless steel tray and place in the Full Steam oven. With the back of a knife bruise the lemongrass and place in a 4 litre solid stainless steel tray or dish. Add the garlic, ginger and chilli. Crush the lime leaves in your hands and add to the tray. Add the fresh and ground coriander, cumin, turmeric, coconut milk and stock. Stir to combine. Place tray in Full Steam oven with the rice. Select Steam 100⁰C and cook curry and rice for 20 minutes. Remove the rice from the oven, cover with foil and set aside. Remove the curry from the oven, strain the curry liquid through a fine strainer and discard the herbs and spices. Place the liquid back into the tray, add the fish sauce, palm sugar, vegetables and marinara mix. Place back in the Full Steam oven and cook for a further 10 minutes on Steam 100⁰C. Garnish curry with coriander leaves and serve with rice. Finely slice the chillies to increase the heat if desired.